"So many lives have been touched and changed reading books by Cleveland Amory, and finally the world has a book about Cleveland Amory. This story of the modern animal protection movement’s founding father will truly warm your heart." 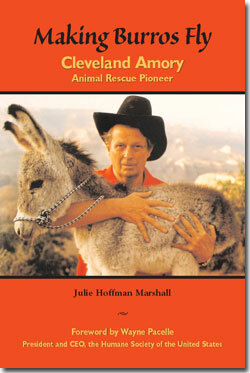 "As Julie Marshall chronicles in this fine biography, Cleveland Amory left a permanent mark on America. And for those of us who were lucky enough to know the man, we'll always smile when we think of him."